Many people are famillar with the iconic view of Hallett Peak and Flattop Mountain from Dream Lake. The view however from the opposite shore of Dream Lake also can offer an equally dramatic and beautiful view, especially during a colorful sunrise. 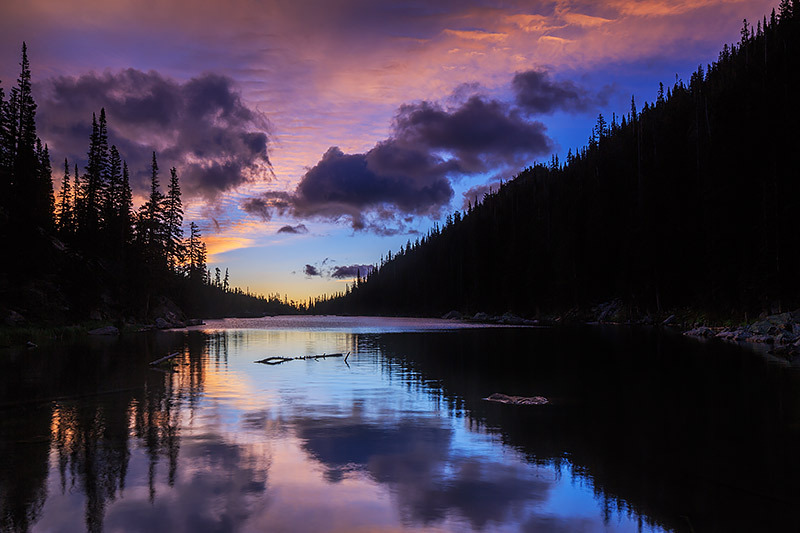 Here clouds drift over the inlet of Dream Lake as the sunrise paints the clouds over dream lake in beautiful and vibrant pastels. Photo © copyright by Thomas Mangan.